We are not talking about James Scott book which is the story of how he survived in the Himalayas. Choosing off the beaten and high adventure trips are kind of getting lost from the world where we are living. Obviously, it will be quite challenging from a mind, and body also some time with the weather, and natural disaster. What is the meaning of lost in the Himalayas? We are talking about some trips which completely blast from the past and finding ourselves into the Himalayan kingdom. From the ancient practice, we all know the Himalayas can heal in a different way. We can call it a Healing Himalayas trip in Nepal where we start from lower elevation and day by day we will be surrounded by the Hevanly Himalayas. How can I get lost in the Himalayas? 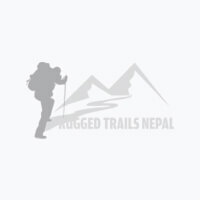 Rugged Trails Nepal some of the exciting Trips such as Everest Yoga Trek, Yoga in the Mountains kind of trips take you at the highest level where we can feel like there is nothing else besides of Smoky Mountains. We can simply pick 1 to 2 weeks long trips in Nepal to explore the Majestic Mountains. Which is the best Himalayan view trip in Nepal? Everest Region Three high Passes, Gokyo, and Everest Base camp is one of the world's best trekking routes for the Himalayan views. In Annapurna, a short Annapurna Base Camp would be another great choice for those who don't have enough time to explore. Annapurna Base Camp gives a 360-degree view and feels like we are inside the oval. On the Foothill of Annapurna Region, Khopra Danda, Mohare Danda, Mardi Himal, Poonhill are the best choices for trekkers. Besides mostly highlighted trips if we head to off the beaten path, Manaslu Circuit is another best place and also rewarded trip. Manaslu is also an ancient salt and gold trading way from Tibet to Nepal. Langtang valley trek is another most popular trek to see the Majestic Mountains of Nepal and the Tibetan border. The hidden kingdom or a little Tibet, Upper Mustang is travelers best choice and always put in the bucket list. Upper Mustang is quite an expensive trip because of Trek permits and all but still an amazing pace place in Nepal. Far West Nepal is unexplored and the hidden gems of Nepal. Mount Saipal, Api Himal, Khaptad National, Rara National Park are virgin destinations and very few people have been. Tell us your ideas and the length of holidays you looking for we will give you the best from our tour experts and you choose the best for you.